A College Degree or a Trade School Diploma. Which Will You Choose? Good Morning Green Panda Readers. Welcome to the second post in our “Me, My College Education, and My Money” series. Today we are discussing the choice of attending College or Trade School. There are advantages of having a College Degree but there are also several benefits to earning a 1 to 2 year Trade School Diploma as well. We are going to explore the cost of a College Degree versus a Trade School Diploma as well as the Job Opportunities that come with them after graduation. The debate of a College Degree versus a Trade School Diploma is always ongoing. Many students feel that having a 4 year College Degree is more beneficial than having a Trade School Diploma, but this is not always true. My Dad attended Trade School for 2 years to become a Certified Mechanic and he has been employed at the same company for over 30 years. My Mother graduated from University with a Degree in Human Resources and she has worked at 5 different companies over the last 30 years, so no one really knows which is better. I guess it depends on your program of study and what you want to achieve in your career. A major advantage of attending Trade School is that it gives us real hands on experience. This is great because we will know what to expect when we enter the work world after graduation. Trade Schools usually offer a 1-2 year Diploma in a specific program of study. This can be both a pro and a con of attending Trade School. Being an expert in a specific field can help us work towards our dream job, but it can also be a problem if we lose our job. Being a specialist in only one field with one specific skill set can be a problem if our field is not currently hiring. It’s always a good idea to have a backup plan, for anything in life. Another con of graduating from Trade School is that we may not like our program. If we don’t have a back up career plan and we don’t like our program of study in Trade School we could be stuck after graduation in a job that we don’t like. 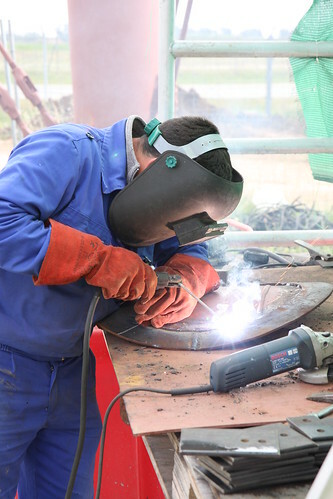 Trade School Programs of Study include Welders, Sound Engineers, Dental Assistants, Paralegals, and Mechanics. A major benefit of earning a College Degree is that we learn valuable information. Because a college degree usually takes 4 years to complete, unlike a 1 to 2 year Trade School Diploma, we learn a lot more information; but it is also more generalized. A 4 year College Degree can open many doors of opportunities for graduates of programs such as Human Resources, Business Administration, and Accounting. These are jobs that may be offered in many different types of companies and corporations, this is an advantage because we do not have to limit ourselves to one particular sector or industry. The Automotive Industry needs Human Resource Officers and Corporate Accountants just as The Field of Finance also needs them. A con of graduating from College with a 4 year degree is that our program may be too general, and therefore we may not be able to find our dream job without a few years of working experience first. Very often is the case that College Students graduate with a 4 year degree and they are unable to find work right away. An alternative for recent College Students is to return to school or Trade School and narrow down their expertise to a specific field.